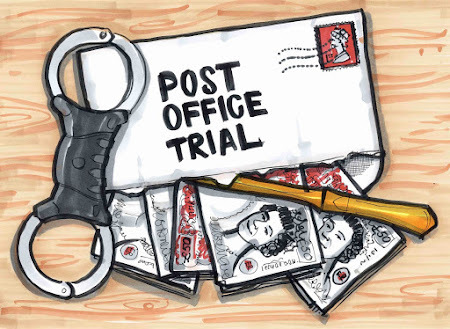 This post contains extracts from paragraphs 559 - 724 of the Bates v Post Office Common Issues trial judgment. They are being broken down in this way in order to provide digestible chunks for the casual reader. The extracts in all these posts are chosen because I thought they were of interest. They are therefore subjective and do not give the whole or complete picture of the judgment. If you want that, read the whole judgment. My commentary is in bold. 523… The Post Office appears, at least at times, to conduct itself as though it is answerable only to itself. The statement that it is prepared to preserve documents – as though that were a concession – and the obdurate [sic] to accept the relevance of plainly important documents, and to refuse to produce them, is extremely worrying. This would be a worrying position were it to be adopted by any litigant; the Post Office is an organisation responsible for providing a public service, which in my judgment makes it even worse. 559. There is no doubt that the Post Office is acutely aware of the potentially damaging repercussions in terms of its reputation, if this litigation succeeds. That is entirely understandable. 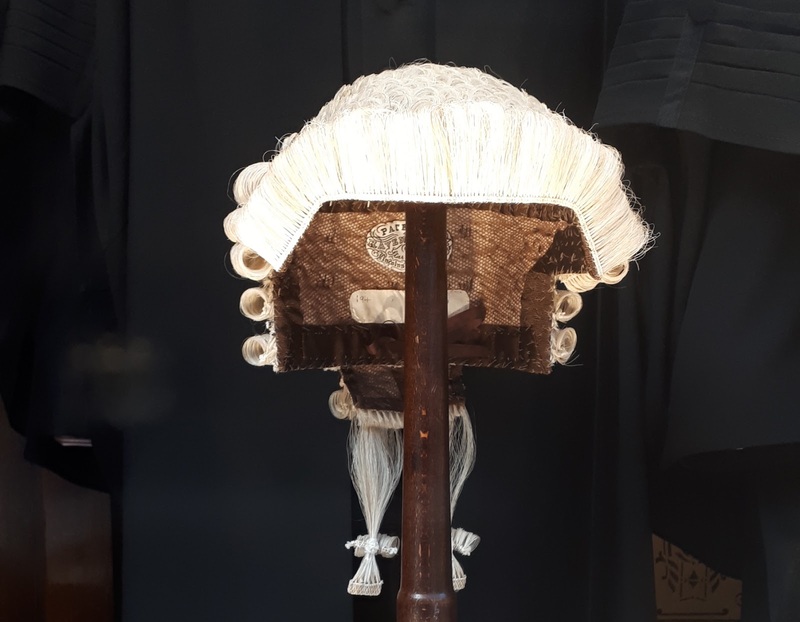 I have dealt with the cautions urged upon me.. and in my judgment on the pre-trial application seeking to strike out evidence I also identified that the Post Office’s own evidence for that hearing explained that it wished to avoid adverse publicity. 561. ... [there is] a culture of excessive secrecy at the Post Office about the whole subject matter of this litigation. They are directly contrary to how the Post Office should be conducting itself. I do not consider that they can be a sensible or rational explanation for any of them. 671. This argument [on the construction of Section 12:12] by the Post Office is, in my judgment, both circular, and is an overly intricate attempt to sow confusion and obscure the true issues in the case. 569.40 [The Post Office] sought recovery from the Claimants for apparent shortfalls. I would also add that on the evidence the Post Office did this regardless of whether disputes had been reported to the Helpline or not. This was accepted by all the Post Office witnesses, and occurred whether the SPM in question was appointed under the SPMC [Subpostmaster Contract] or the NTC [Network Transformation Contract], even though the terms of those contracts were different. It was also done regardless of any analysis of any causative fault on the part of SPMs [Subpostmasters]. It was also done when the SPM in question had been told that no action would be taken in respect of a disputed shortfall. 646. I consider that the correct meaning of Section 12 Clause 12 is that the SPM is responsible for losses that are caused by his own negligence, careless or error, and that it is for the Post Office to prove that any particular loss falls within that category. I consider that this is clear on the natural meaning of the words. 649. ... it was joined with the inference adopted by the Post Office regarding the Horizon system, which is that Horizon-generated losses do not occur. The Post Office therefore argued that it is entitled to conduct itself as though shortfalls are the responsibility of SPMs, unless the SPM could prove the loss was not caused by his or her negligence, carelessness or error. 653. In my judgment... it is the Claimant’s construction that I consider to be the correct one. It is not for a SPM to demonstrate that there was no negligence, carelessness or error on his or her part. It is for the Post Office to demonstrate that there is. 654. I consider there is a contractual burden upon the Post Office to demonstrate that the loss for which it seeks to hold a SPM responsible was caused by the negligence, carelessness or error of the SPM. 655. For a SPM to demonstrate they were not at fault, if there was a loss, could be verging on nigh on impossible. Firstly, they would have to concentrate upon and analyse all of the branch records for every single transaction within the particular trading period. That would be an onerous burden for a single SPM. Secondly, those records would only be between the branch and the Post Office; SPMs have no access to data between the Post Office and its clients, and are not able to obtain it. A further factor – though far less important - is all of this would have to be done whilst the SPM was complying with their obligation to open and run the branch during working hours during the week. I am also confident, from the evidence in this trial but especially that of Mrs Stockdale, who appeared in my judgment to have done all that was humanly possible in order to work out what was happening, that a SPM simply does not have access to the type of information that would make such an onerous exercise possible even in theory. 656. For the Post Office, however, to do this, would be less difficult. All of the transactions of that branch could be analysed and compared with the relevant data between the Post Office and what it calls its clients, which include companies like Camelot. Secondly, that workload would be borne by the (or a) relevant department, and not by one sole individual, who would be trying to run a branch Post Office during normal business hours at the same time. Thirdly – and in contractual terms this is less important, but it is an implication of a rival construction, and hence appropriate to consider it - the Post Office is responsible for compiling evidence for prosecutions for offences of false accounting and theft by SPMs. As such, it bears the burden of proof of demonstrating to the appropriate criminal standard that conduct by SPMs is dishonest. It must therefore have the ability to demonstrate how a loss has been caused. 665. One has only to state the Post Office’s proposition to see how far it is from commercial reality. It can only be arrived at by treating the single clause as though it were two entirely separate and distinct provisions, and by construing the second in complete isolation from the first, and by reading the second part as though it included words that are not there. 723. I agree that there is a lot to be desired from the Post Office’s behaviour as identified in the cases of the Lead Claimants. I shall give four examples only. 1. Even though the Post Office’s own case on the relevant provision in the SPMC dealing with liability for losses requires negligence or fault on the part of a SPMC, this was routinely and comprehensively ignored by the Post Office, who sent letters of demand for disputed sums in express terms as though the SPM had strict liability for losses. These letters entirely misstated the legal basis of a SPM’s liability, even where they had been appointed under the SPMC. 2. Legal representation is not permitted by the Post Office at interviews which deal with whether a suspended SPM is to have their engagement terminated – which effectively ends that part of their livelihood. Regardless of whether this is justified or not, the specific grounds and proper particulars of why they face potential termination are not even clearly identified in advance to the SPM in question. Additionally, information directly relevant to the grounds (or at least what the Post Office is concerned about, in the absence of properly identified grounds) is not provided to the SPM either, or at least not in the case of the Lead Claimants who faced such procedures. Mr Abdulla tried at his interview to explain the situation regarding TCs [transaction corrections] and the Lottery. He was disbelieved. The documents available in the trial show that, whatever else he had done, he was telling the truth about the existence of these TCs. Neither he nor the interviewer had this information available to them at the time. 3. I have already dealt with what happened to Mrs Stockdale after she was one of the first Claimants in the litigation. Mrs Stubbs’ evidence, which I accept, was that the Temporary SPM who replaced her was told to destroy all documentation in the branch that related to her appointment. There can never, in my judgment, be any sensible rational for such destruction of important documents, and I cannot understand why the Post Office would wish to behave in such a way. Other parts of Section 15 deals with the requirement for a caution and so on, but I find it somewhat unusual, and potentially oppressive, that the Post Office could seek to use the Official Secrets Acts in this way. I do not see how, in a routine case, these Acts could possibly apply in the way suggested by the Post Office in this contract. The remainder of the judgment (paragraphs 725 - 1122) deals with the 23 Common Issues at the heart of the first trial, and who the judge finds for, with lots of working out. I'll get something up about that soon.